PS4 Laser Cut Stand @PlayStation #ps4 « Adafruit Industries – Makers, hackers, artists, designers and engineers! Summer is coming so I was worried about cooling the PS4. 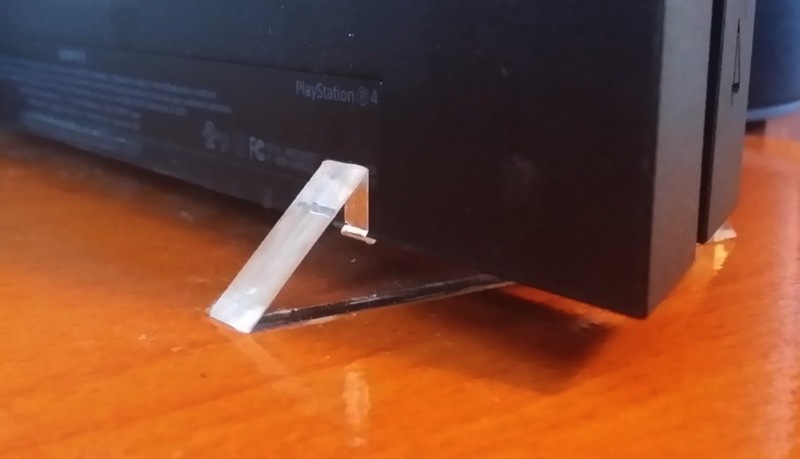 This stand lifts the PS4 off the desk a bit to give it more airflow. I had this cut by Ponoko, using 9mm thick clear acrylic. If you want to make your own, click here to download the EPS file, follow Ponoko’s instructions.